Where Are We Going in Terms of Content Creation? How Much is Too Much? I have been witnessing from quite a while now that webmasters are busy writing long-long posts...so how much is too much in terms of content creation and marketing. Does Google favors longer content that is more than 2500 words or more? The answer is NO. All depends upon the user's intent behind the search query. So, why are we wasting our time and money creating longer articles when a lot more can be told in less words? The content creation bubble is in boom now but it is soon going to burst...AHA..you got it right after a Matt Cutts video where he points out there is no SEO value in writing longer content. If you talk about user experience, I am myself annoyed reading such long posts that stretches the main points unnecessarily. No, it's not that all longer articles are worthless, most of them are good but the ones created solely for SEO purposes are bad. I have written a 2500 word post. Now Google will rank my site higher! Absolutely not. Ranking does not depends on the length of the content. 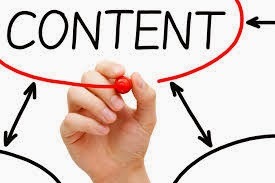 If a 200 word content serves the user's query well then that might rank higher than the 3000 word long post. Yes, it is true that Wikipedia ranks higher for most of the search queries and it is because of content and links. Wikipedia offers high quality content that is useful for the end user. It updates it content regularly, people link back to its content regularly, every word written in Wikipedia adds value for the user. This is contrary to other contents which care for the length of the post and not the value in them. This is not always true because quality content is not measured by the length of the post. It is evaluated by the value of the words written in the content. Use of stop words or fancy words should be avoided. Also, one of the factors that we often miss when talking about content is the presence of backlinks. No matter how high quality the content in your site is, if it lacks links, it will vanish from the rankings. Does this means, I should write shorter posts? Whether you should write a longer post or a shorter post solely depends on the topic of the content. If the topic is vast then go for longer content but make sure what you are writing makes sense and is not off topic. Else if the topic is short and can be conveyed in a lesser number of words then there is no reason stretching the topic. Hope you got my point. What are your thoughts on creating content? Should we go for longer posts or shorter posts?